Hello! We are the wonderful, fantastic and innovative Year 2. 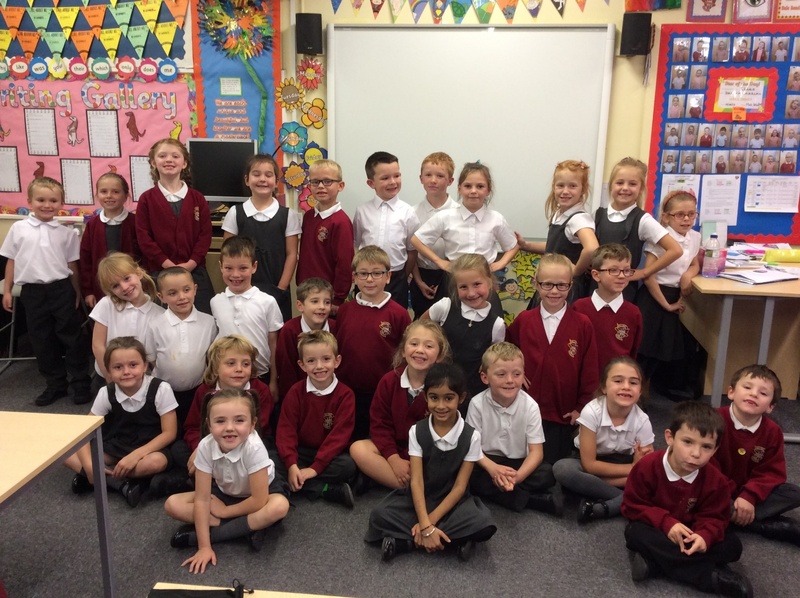 Our class teacher is Miss Walker, and our teaching assistants are Miss Pinnington and Miss Thurland. We are ambitious and we love to follow the school rules everyday! Every morning, we come into school ready to achieve and we aim for excellence in all that we do! We have fantastic topics this year which will help us to question and understand even more. We look at famous explorers, the continent of Africa and we look at how Stoke-on-Trent has changed over the last 100 years! To learn even more about our topics, we have many exciting trips such as a visit to Jodrell Bank, a trip to Knowsley Safari Park and a wow day exploring the wonderful Llandudno (including a delicious ice-cream!) When we go on school trips, we make sure that we are role models and show our excellent behaviour. We are working on becoming independent learners this year, and using the classroom as a resource. We update our working walls with examples of learning as we want the classroom to be filled with our fantastic learning! Everyday, Miss Walker awards one of the class with the star of the day! It is a real privilege, and one that we all love! We love to work collaboratively, and we are team players! We always help one another, and we praise one another as we believe that a positive classroom is the only one to be in! I bet you want to join our positive team too! We have P.E with super Dan on Tuesdays, and we love team games and showing our skills! We also have music with the wonderful Mr Hall and we learn new songs every week that we can showcase as a school in our assemblies. We enjoy singing with the school as it shows that we are a school community! We love to showcase our work so look forward to our wonderful nativity at Christmas and our termly showcases – they will be out of this world! We strive to be the best that we can be, but we realise that to be our best that hard work is needed! We use the idea of having a growth mindset in all aspects of our learning. If something goes wrong, we look for other ways to solve it rather than giving up. One of our favourite mottos is that ‘it is great to make mistakes’ and we use this daily. Miss Walker likes to make mistakes and we help her to correct them in a positive way – sometimes she is trying to trick us though but we can spot her mistakes a mile off! We celebrate mistakes because when we are successful, the feeling is fantastic and shows our determination! We are a wonderful class, and we can’t wait for all of the fun ahead! Please continue to look at the school app for updates on the wonderful learning that takes place in Year 2!